they make me feel proud and humble all at the same time! Beautifully packaged so perfect as a gift, instructions look clear and I’m sure my daughter is going to love making this cutie – a little creation to keep the thoughts of her little pooch with her whilst away at university! Fast shipping, highly recommend this seller. Absolutely gorgeous, possibly the cutest critter ever created. Arrived even faster than expected. Love it so much, just really sad I bought it as a present! Really beautiful bag and very well-made – I was looking for a gift, and the other bag was very well-received, but when I saw this I had to get it for myself! I really love these adorable puppies, so friendly and cute, with their amazing ears and waggy tail. Thank you for making this super custom order. Love, love love my purchase! It was ordered as a gift but I love it so much I’m keeping it! Wonderful customer service too! Fully recommend! Thank you! Absolutely adorable! Beautifully crafted and made for my granddaughter. She will be over the moon!! Thank you for all your help. Very cute. It’s a Christmas present for my daughter. Beyond adorable! Perfect little grey mouse with a lovely nest to curl up in. Sent very quickly and beautifully packed. Makes me so happy! 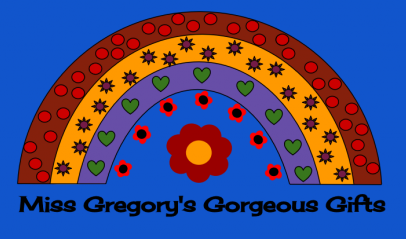 © Miss Gregory's Gorgeous Gifts. All rights reserved.